Tonight at 9PM EST/6PM PST, “JEK III Productions” presents packed, “Evening of Prospects” edition of “The Pugilist KOrner”!! 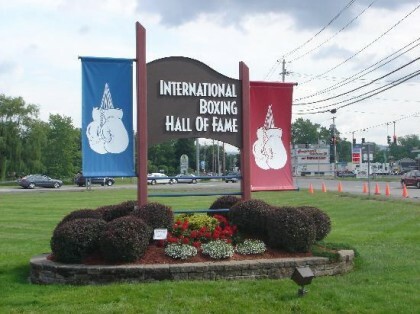 The special presentation will feature Hall of Fame publicist Bill Caplan, current WIBA Welterweight Champion Tori “Sho-Nuff” Nelson, reigning WBO Junior Middleweight Champion Demetrius Andrade, Lightweight prospect Sergey “The Minsk Surgeon” Gulyakevich, Junior Welterweight prospect Lydell “The Hackman” Rhodes, and Heavyweight prospect Trey Lippe-Morrison. Kicking off this evening’s broadcast will be Hall of Fame publicist and writer Bill Caplan. The lifelong fight proponent will discuss some of his favorite clients, as well as some of the upcoming events on the boxing calendar. Mr. Caplan will also examine the role of the mainstream media in how fans ultimately view the sport of boxing. Making her way to the program for the first time will be current WIBA Welterweight Champion Tori “Sho-Nuff” Nelson (9-0-3, 1 KO). The prolific boxer/puncher will be discussing her upcoming title defense against Nicole Woods, which is slated to take place this Saturday night at the Du Burns Arena in Baltimore, Maryland. The talented Ms. Nelson is coming off of a brilliant knock-out performance over Mia St. John, which happened on May 17th. 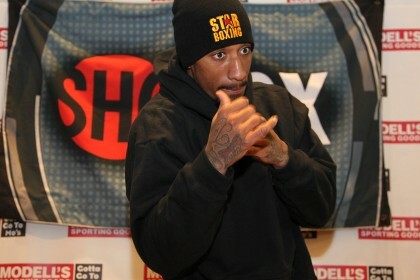 Closing out the first hour will be the reigning WBO Junior Middleweight Champion, Demetrius “Boo Boo“ Andrade (21-0, 14 KOs). The slick southpaw from Providence, Rhode Island, will discuss his dominant and very impressive victory over Brian “The Lion” Rose, which took place on June 14th, at Barclays Center in Brooklyn, New York, as well as his future in the talented 154 and 160 pound weight divisions.